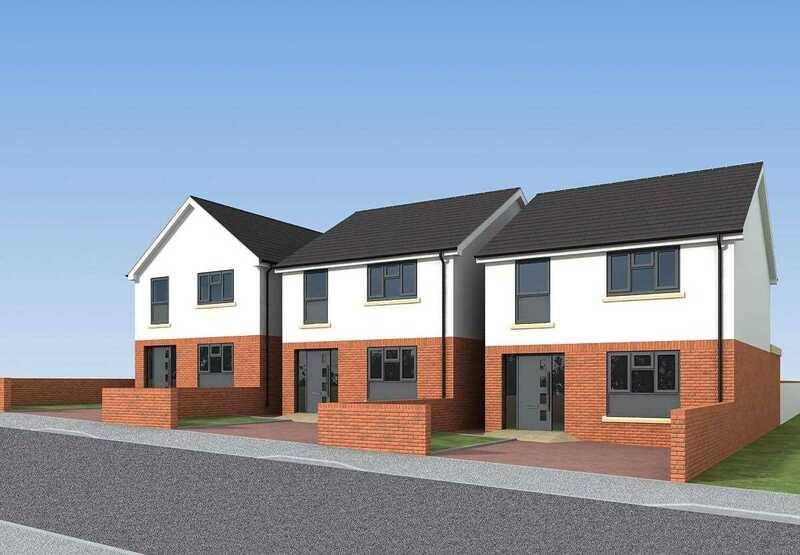 A fantastic opportunity to purchase a premium detached three bedroom home. One of only three houses on this small development situated in the sought after village of Keyworth. One of only three houses on this small private development situated in the heart of Keyworth, 2 minutes from the Village Square. The premium detached homes boast an impressive open plan family living and kitchen area, 3 double bedrooms, in addition to a large rear garden. Making the development ideal for professionals, retirees and families alike. Each of the three executive detached homes come with a 10 year guarantee and briefly comprise of brick and render facades, open plan kitchen, dining and family area, three bedrooms, ensuite to the master and family bathroom. Swing and slide rear doors, roof Lantern to give extra light to the dining area and anthracite UPVC windows to the front. The rear gardens are also of a generous size as well as parking for two cars at the front all with the convenience of a central village location. 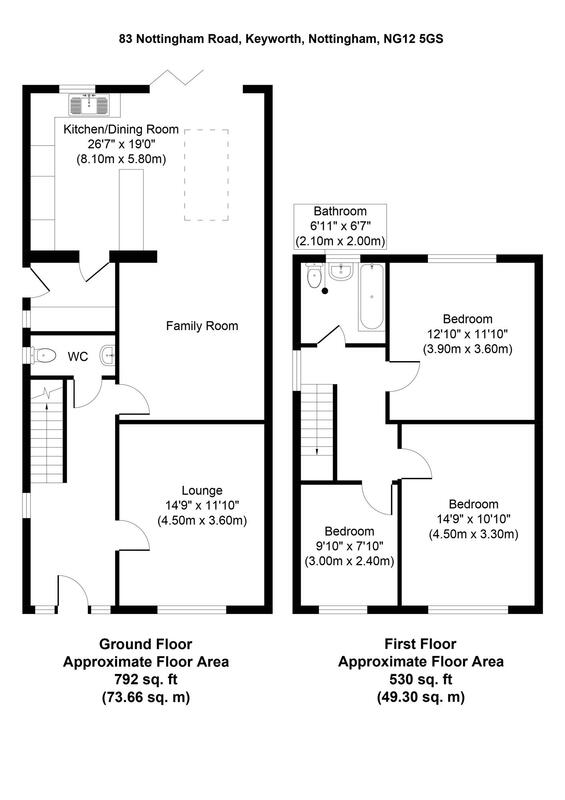 Please note that the measurements and specifications below have been taken from the architect's plans these might vary from the finished properties. With a panel radiator, two pendant light fittings, Double glazed window to the side elevation, doors leading to the living room, cloakroom and the kitchen/dining/family area. Stairs leading to the first floor with under stair storage. Low flush WC, pedestal hand wash basin, extractor fan, radiator and window to the side elevation. Window to the front elevation, pendant light fitting and radiator, tv point. Kitchen is designed and fitted by La Casa interiors. The fitted kitchen is part of the Hacker classic range with intergrated AEG appliances which include microwave, electric oven, fridge freezer, dishwasher and induction hob. The worktops are laminate with 100mm upstand. The dining area is lovely and bright thanks to a roof lantern and many spotlights. There is a window to the rear elevation in the kitchen area and swing and slide doors leading out to the landscaped rear garden from the dining area. The dining area also has mounted flat panel vertical radiators and there are plenty of electrical sockets and tv points in the family area. Plumbing for washer and dryer, laminate worktop with full bowl sink and mixer tap over, radiator, windowed door to the side elevation. Obscure window to the side elevation, ceiling light point, doors leading to all three bedrooms and bathroom, boiler storage cupboard. Window to the rear elevation, radiator, ceiling light point, tv point, access to the en suite. To contain standard low flush WC, pedestal wash hand basin, enclosed shower unit and towel radiator. Upgrades optional at an extra cost. Window to the front elevation, radiator, ceiling light point. To contain standard low flush WC, pedestal wash hand basin, bath and towel radiator. Block paved driveway to the front of the property with off road parking for two cars and boundary wall. The rear will provide a generous sized garden which will be mainly laid to lawn with close boarded fencing.